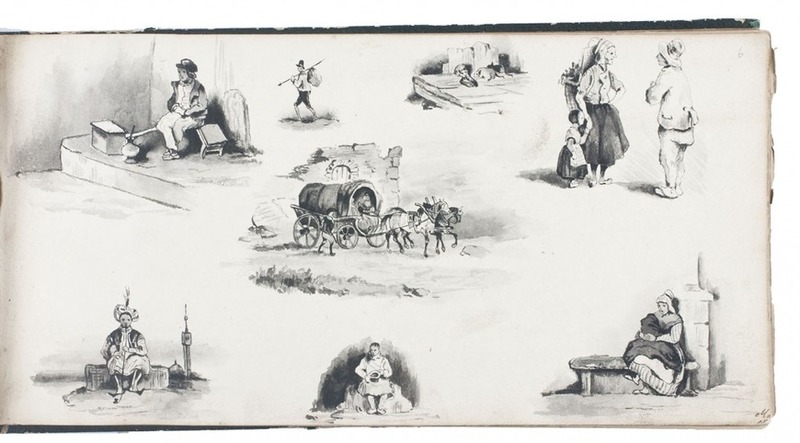 Album with 47 charming drawings in several media by Paul Voituron (1824-1891) of Ghent and his sisters(?) and friends in France, Switzerland, Holland and Flanders. Various places, [1831-]1842-1844. 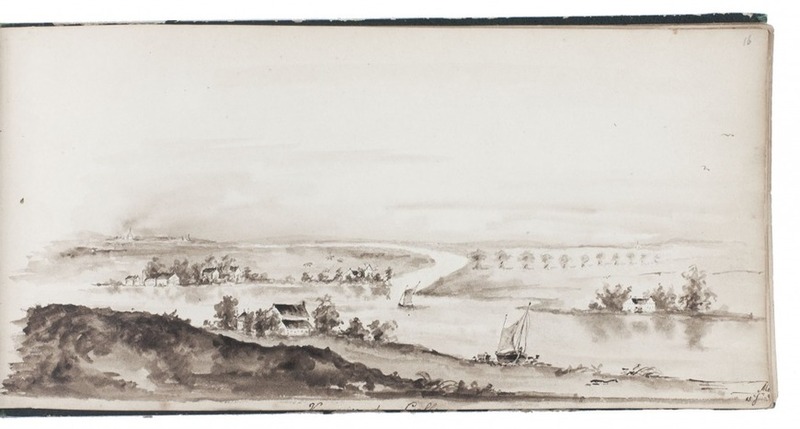 Oblong (12.5×24 cm). With 47 drawings including the full-length colour portrait of what may be the gentleman-artist Paul Voituron, 8 coloured drawings (including 6 of flowers), 11 black and white drawings, 21 drawings with sepia (and in one case also red) washes, and 6 drawings with black and white washes, some highlighted with white chalk. Contemporary green half cloth, gilt edges. An album containing 47 mostly small pen and ink wash, pencil, watercolour and pastel drawings, several in colour. Several are signed by Paul Voituron (1824-1891) and his sisters(?) Hortense and Virginia Voituron, and the Mary who signed many drawings without a family name may be a Voituron as well. Paul Voituron was to become known as a progressive thinker in Ghent, but the Ghent University Library also has a large collection of his drawings. Other drawings in the album must have been drawn by family friends. 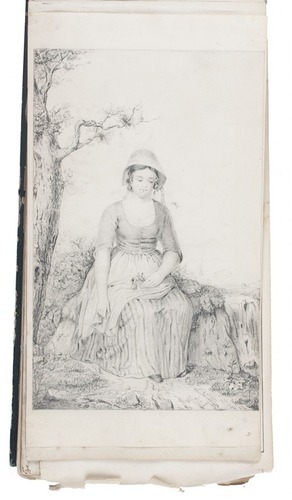 The first drawing in the album is dated 1842 and several are dated 1842-1844, so one dated 1831 may have been mounted in the album long after it was drawn. Most of the drawings contain one or more human subjects, sometimes in portraits, other times as figures in landscapes. There are also several flower drawings. 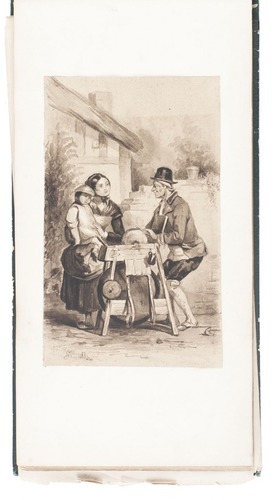 Together they give a charming view of daily life in Europe in the early 1840's. A few album leaves are detached and frayed at the edges, but the drawings themselves are in very good condition. The binding has lost its backstrip and is rubbed, with the sewing somewhat loose. A charming set of drawings by young ladies and gentlemen from Ghent on a Grand Tour of Europe. For Paul Voituron: Van Praet & D'Hondt, Paul Voituron (1824-1891) en zijn denktank: levensschets en progressief gedachtegoed van een Gentse liberaal (2012).